Yes, 'Beyoncifying your boyfriend' is an actual thing now. 1. This is Cassandra, who has photoshopped images of Beyoncé over her ex-boyfriend's face. 2. Rather than repressing happy memories with her ex, she's imagining they happened with Bey instead. 3. Here's Cassandra and Beyoncé that time they had a cute selfie together on the beach. 4. Here she is with Queen Bey, ready to open their presents on Christmas day. 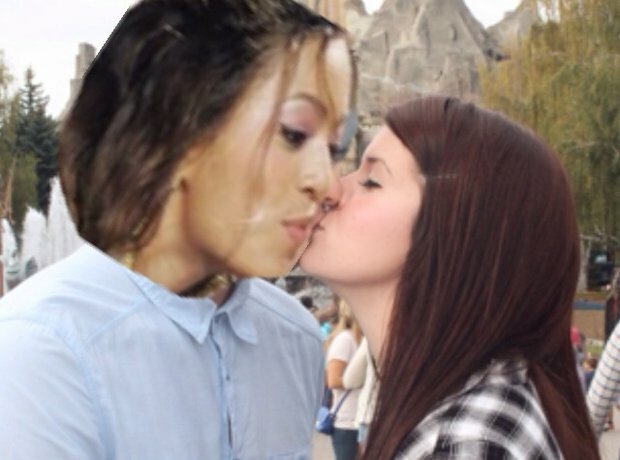 5. Who needs a boyfriend when you'd rather have been there with Beyoncé anyway? 6. The correct term is 'Beyoncifying My Boyfriend' - and we can see it catching on.